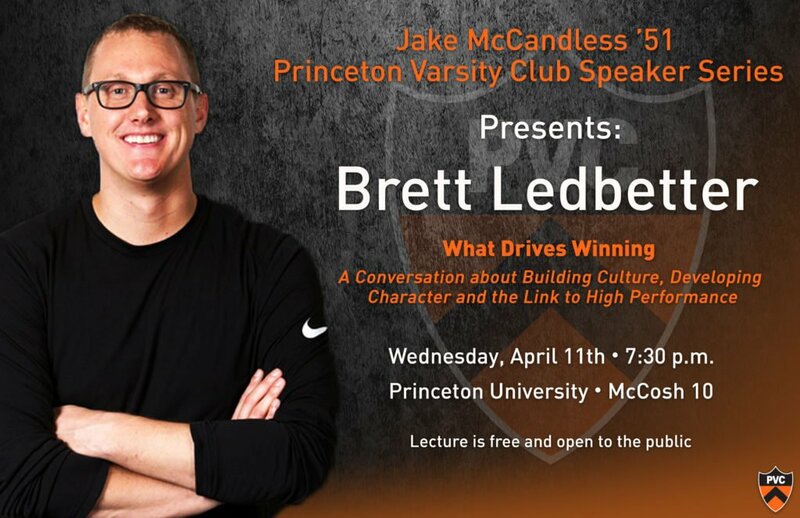 Wednesday, April 11th – 7:30 p.m.
Brett Ledbetter specializes in building team cohesion and character development. He serves as a thinking partner for some of the top minds in sport as they navigate the forces of high-profile environments. Brett regularly facilitates collaborations with coaches, administrators and athletes at several Power 5 institutions keeping him at the cutting edge of what’s relevant for high performers today. Brett is the author of What Drives Winning; a guide on how to repurpose sport to build character. He is also the co-founder of the What Drives Winning Conference, which brings together championship coaches and performance experts to create conversation around what drives winning beyond the x’s and o’s.